0 | 1 students enrolled. 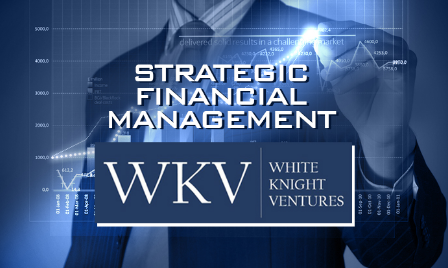 Strategic financial management online course helps the student understand various financial concepts. It gives a broader perspective of how to plan and execute the knowledge of finance in the running of an organization. The increased globalization and increased depth of financial markets in the world make it imperative for students to have exemplary knowledge of this field. Risk management techniques in financial management have also gained importance in the last decade or so especially after the 2008 crisis. The videos thoroughly cover the Chartered Accountancy curriculum for a robust preparation. Concepts of finance are explained through the use of text, illustration and examples. E-learning makes the process of learning faster, better and pleasant. Once taken, you can access this course for a period of 4 months. This is a 4 in 1 course which aims to build detailed understanding on topics Derivatives, Foreign exchange, Portfolio theory and Capital budgeting. Individuals looking to build their career in finance should definitely opt for Strategic Financial Management course and it is build keeping professional aspect in mind. You are getting the benefit of 4 courses in this single course and that too at an affordable price. Individuals pursuing professional courses like CA or CFA should definitely go for this power pact financial management course. It is a detailed course explained with the help suitable illustrations.